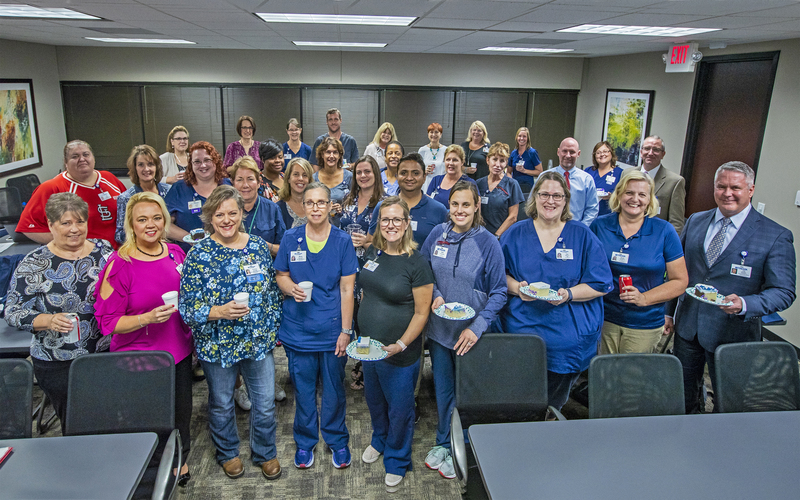 The home health agency celebrated its 10th anniversary on Wednesday, August 29, with a gathering that included the agency’s employees, leadership from Bethesda Health Group and St. Andrew’s Resources for Seniors, and, of course, cake! In 2017, nurses and aides drove approximately 87,000 miles to provide home care (more than 3.5 times around the Earth!). For more information about St. Andrews & Bethesda Home Health, please call 314-218-2600.